OCEANSIDE — Oceanside has set Dec. 17 as this year’s Day Without a Bag, but the city Zero Waste Team and Utilities Commission are hoping to end store distribution of single-use plastic bags for good. The Zero Waste Team and commission have launched a community and business education campaign on single-use plastic bags. Two community workshops were recently held in the south Oceanside neighborhoods of Loma Alta and Loma Alta Mission Park. Colleen Foster, city solid waste and recycling senior management analyst, said 200 people attended the workshops and supported a ban. Twenty-five more workshops are planned throughout the city in January. Deputy Mayor Chuck Lowery said the education campaign will let people know adjusting to a bag ban is easy. Oceanside is collecting community feedback during workshops in order to draft an ordinance that suits residents and has the least impact on businesses. Right now all options are open. Lowery said one idea is to limit the ban to high volume sales grocery stores. Oceanside failed to pass a bag ban in October. Lowery said this was due to council members not being aware of business support, and a request for more community education. “We’ve resolved both of those concerns,” Lowery said. Oceanside is expected to vote again on a city bag ban in the spring. Over 125 California cities, including Solana Beach and Encinitas, have bag bans in place. The Del Mar Sustainability Advisory Board is also holding outreach meetings to educate residents on a bag ban that Del Mar City Council will vote on in February. Lowery said he thinks it’s important for Oceanside to set an example and have a city ban in place before the November 2016 state vote on a referendum to undo Senate Bill 270, which prohibits store distribution of single-use plastic bags. Lowery said the referendum is funded by plastic bag manufacturers. 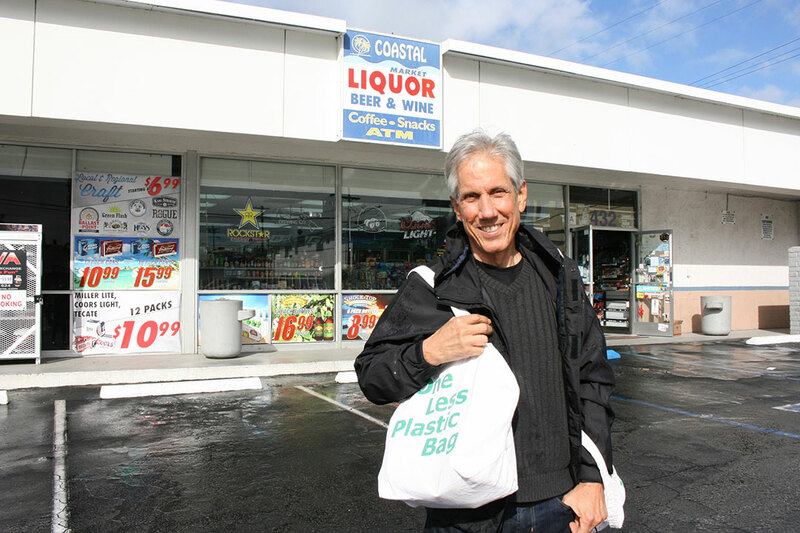 Councilman Jerry Kern voted no on an Oceanside bag ban in October, along with Councilwoman Esther Sanchez and Councilman Jack Feller. Kern said he has not changed his mind, and wants to wait until the November state vote. He said at that time The City Council can look at Oceanside votes on the state ban and follow up accordingly.